Places X and Y map coordinates at: (1) top of the World Map, (2) in the Minimap's zone text, (3) and zone text tooltip. Configurable precision and display. Instal: Like any other AddOn. Set up: Works 'as is'. Clicking on the Minimap zone text cycles through four display modes: (1) 3 decimal places, (2) 2 decimal places, (3) 1 decimal place, (4) no coordinates. 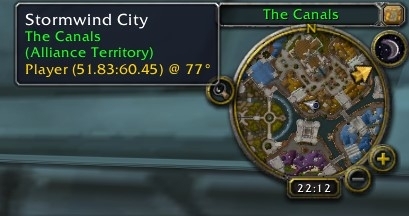  Special Minimap zone text colours at compass points N/S/E/W and NW/SW/SE/NE New! 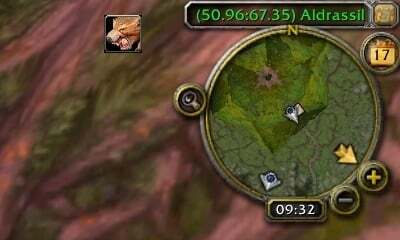  Degrees added to popup Minimap zone text Tooltip New! * Better Chinese translation thanks to EKE over at WoW Interface! L["Player"] = "播放器" -- should be "玩家"
L["Cursor"] = "光标" -- should be"鼠标"
L["Cursor"] = "光標" -- should be "滑鼠游標"
MANY MANY thanks. I obviously use Google translate (sigh) and try to apply it intelligently (lol). Feel free to suggest changes to any other of my "translated" AddOns! 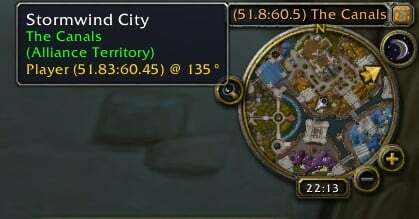 This AddOn is the first of my AddOns to commence my move to being multi-build/patch friendly. I've added the ability to show THREE decimal places (some would say that just the one is enough!) as well as removed a nasty bug or two when you are looking at the world map. Discussion of private servers would not be welcome in this public comments section. 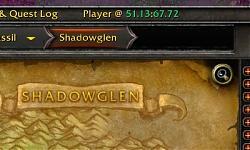 This AddOn is merely "getting ready" for Classic and any future historic server Blizzard will surely launch. No complaints! No bugs that I've found! One visual thing - would it be possible to make the name of the zone box longer? I find the numbers and the name are somewhat squished together. I may start doing without TomTom's coords box entirely! Okay a question: Do any AddOns exist which merely alter the length of the box you are talking about? Thinking that if the answer is "NO" then I could investigate how easy / difficult this would be. I honestly don't know. It's not something I've felt a need for before, so haven't looked for it. 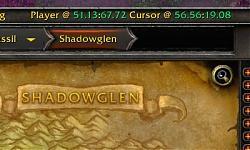 All this AddOn does is to alter the text within the box. Yes... the box size can be changed. 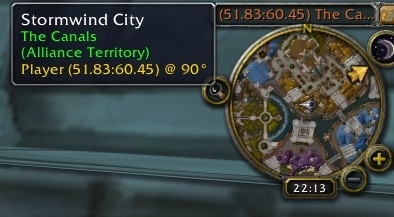 But that is moving the AddOn into a "Minimap Replacement" AddOn and I think there are plenty of AddOns that already do that. This AddOn should work with those other AddOns IF (perhaps a big IF) the AddOns behave in a "standard" way.